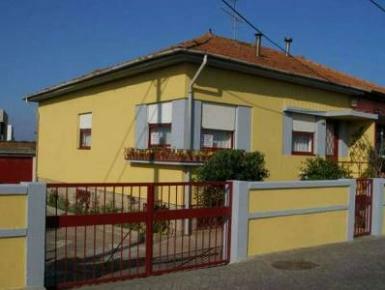 Semi-detached house 100 m from the beach of Lavadores, 600 m from the mouth of the Douro river, 4 km from the centre of Vila Nova de Gaia, 9 km from Porto and 16 km from Porto international airport, 2 km from the IC1 highway. Golf green 3 km, surfing area 800 m, casino 6 km, health club/spa/swimming pool 150 m, angling area 100 m, restaurants 100 m, shopping center & cinemas 1.3 km. The semi-detached house is fully equipped with heating, cable TV, DVD player, bed linen and towels, and comprises 2 double rooms, 1 twin room, living/dining room, equipped kitchen, 1 shower room, laundry room with wash machine, patio, garden and porch with barbecue. Maid service during the stay is not included in price, but can be pre-booked and paid locally at the rate of EUR 25 per each light house cleaning (no kitchenware included). Sleeps 6 persons, self catering.